To kick off this week’s edition of the Ms New Brunswick series, let me introduce you to Amanda Chisholm. Amanda owns and runs the Pure Balance Yoga Studio in Bathurst, where she offers yoga classes everyday of the week for every skill level. Amanda is passionate about the mental health benefits of yoga, and works with businesses and organizations – even schools – in her area to introduce yoga to people. She spends time every month opening the doors of her business to anyone who is interested in poking around or checking out what it’s all about without charge or any commitment to join. Amanda has accomplished a lot, including recently winning the CBDC’s Young Entrepreneur of the Year Award in 2017 for the entire Chaleur region. During our conversation, Amanda’s passion for yoga was obvious, but it’s her passion for people that really inspires. 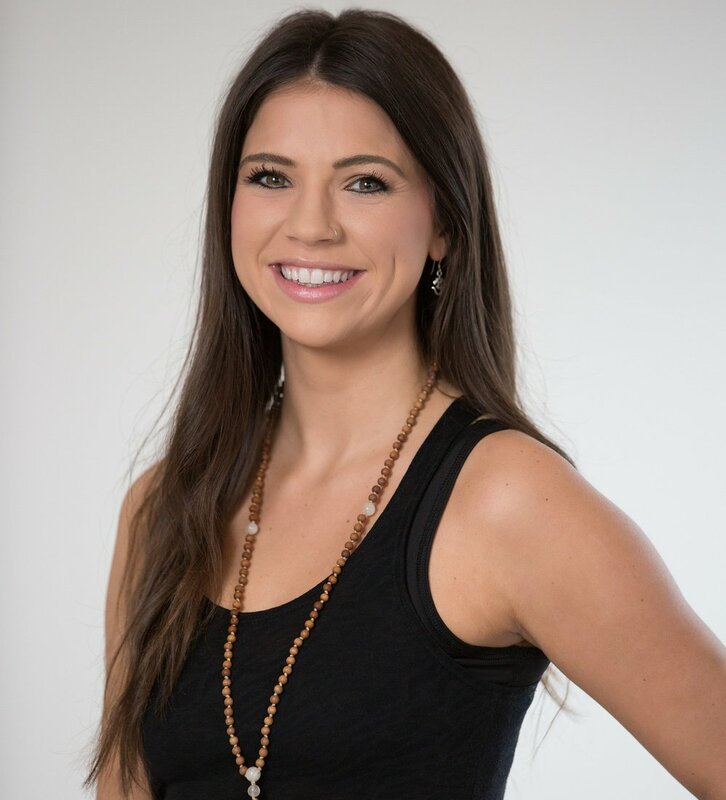 She is committed to making sure people feel safe and accepted, but also to educating people about the power of yoga and its ability to heal the body and the mind. Tell me about Pure Balance Yoga Bathurst. 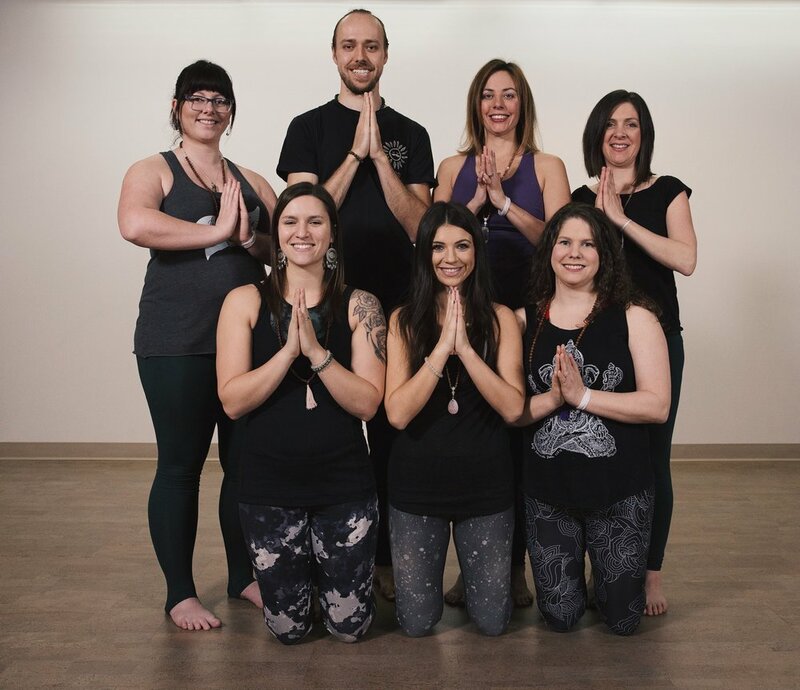 Pure Balance is Bathurst’s first dedicated yoga studio, and I’ve been open 2.5 years now. The studio runs 28 yoga classes a week of varying difficulty to ensure that there is something for everyone. We cater to all fitness levels, whether you’re completely new to yoga or a seasoned practitioner. We also offer massage therapy, reiki and we recently brought on an Osteopath. There is a little retail section where we sell yoga and fitness merchandise, and I really try to make sure all the products we carry reflect our values. Everything is fair-trade, upcycled, local, reused or reusable etc. Currently I have a team of about nine employees, and the studio is open everyday of the week. How did you get into yoga, and what made you want to open a studio? I started yoga pretty seriously in 2012 in Toronto and it changed my life. I had been dealing with some ongoing anxiety and depression and someone recommended yoga to me as a way of dealing with those issues naturally. I was completely new to yoga, but jumped in with both feet and committed to going everyday for 30 days, and I just fell in love with it. I ended up going everyday for a whole year. When I moved home to Bathurst I was working at a bank, but it didn’t feel right and my husband encouraged me to do my yoga teacher training. I wound up completing it at a retreat in Baja, Mexico and from there taught classes in different spaces and gyms around the city. After about two years of working like that, I had gained the confidence to invest in myself and I opened up the studio. How is it running a space with so many employees? I am very lucky because the yoga community naturally attracts people who are easy going and laidback. I have been super fortunate that all of my employees believe in the power of yoga. Yoga has impacted each of our lives in powerful ways and we love it. We support and love and nurture each other, and that helps us to connect with our students as well. I feel that we do a great job of building a community here. They are all a part of the reason that the studio is successful in creating a welcoming and safe space to clients. I can’t say enough about the community. I was funded by the CBDC, and they were instrumental in helping me get setup in this location. I am really grateful for that. Since then, the local community has been amazingly supportive and we have been solely operating on word of mouth or Facebook ads since the start and we’ve been really successful. In 2.5 years I have been able to bring on more teachers and professional services, and I have been able to expand the class offering and that is all because the community shows up everyday. I can’t talk about the people who support me without talking about my husband. I often thank him for telling me to completely shift paths. Throughout the time that I’ve been open he’s been my rock. He’s so uplifting and positive and having someone supportive in your corner makes a world of difference. He was previously an entrepreneur so he had a lot of insight to pass along to me as well so he’s also been extremely helpful in that sense as well. What is something that you would like to see change? I wish that there was more funding for individuals, workplaces and schools to be able to explore the benefits of yoga as it relates to stress, anxiety and general mental wellness. I have noticed that New Brunswick has less funding for physical wellness programs for people suffering from certain issues. I am teaching at our local high school here, because they were approved for a wellness grant, and yoga was one of the options that they brought in house for their students, and it’s been so wonderful. I’ve also worked with companies one-on-one before, where I came in to teach a class at the workplace. Worksafe NB and I partnered to do a weekly series awhile back and it was extremely popular. They brought me in to teach a weekly class before lunch. I wish more companies realized the benefits of doing something like this. I think that a lot of businesses are starting to see the validity and benefits of implementing yoga and other programs at work, but there is still a long way to go. There are some misconceptions to work through about what yoga is, especially in a community like Bathurst. We try and let everyone know that yoga is for everyone; if you can breathe, you can do yoga. You don’t already have to be fit or flexible, and you can start right here in our studio. We offer an intro 101 workshop and we open the doors and there’s no commitment to join up. My vision is to keep it an inclusive and safe space, and I want people to be able to see for themselves what they’d be getting into. I also want to educate people on the many benefits – physical and mental – of practicing yoga, even if that means they don’t continue to do it with us here. I am getting better at that. I really try to take two full days off every week. As much as I love what I do I understand that I need the time to get away, recharge and that is how I keep my passion for doing this. I never want it to be something I have to do, I always want to love doing it. I disconnect when I’m not at the studio as much as possible, and I really believe in the power of the mini-getaway. We will go away for short stints, two or three days at a time and that is enough to feel rested and energized to come back to work. The best advice I can give anyone is to not allow yourself to be controlled by your fears. Opening a business is scary, especially if you’re just diving in headfirst like I did. I really believe that if you lead with your passion, and you focus more on living from your heart, that you can’t go wrong. I think something else to remember is to keep your headspace positive, and to manage your expectations. I really do believe that everything happens for a reason and the more positive you can stay the better. If you are constantly worried, that will be reflected in your demeanor and in your business. I also think that you should ask yourself, seriously, what is the worst that could happen? After that, see if it still feels right – once you know what you might be losing, you can decide if you’re still up for it. What is most impressive is Amanda’s commitment to her community. She acknowledged that Bathurst has experienced a rough go since the area lost several major employers in the last ten years. Simultaneously, the city has seen a decrease in population and these combined factors have taken a huge toll on the small business community. In a place that has been hit economically it is even more important for people to support one another, and business owners like Amanda are leading the way. She truly believes in ‘community over competition’, and that is clear in the way she conducts herself. It is among our most important responsibilities to support the small businesses in our communities. They give us variety and personal experiences. They create beautiful spaces that we can visit, tour and enjoy. They pay rent and taxes that fund our roads and schools. They employ us. Take care of them, because I promise, they are taking care of you.